Check out the 3 banners that showed up today for the upcoming sequel The Hobbit: The Desolation of Smaug movie, which opens in theaters December 13, 2013. The first banner shows Sherlock‘s Martin Freeman as Bilbo Baggins, along with a few of his band of dwarves, including The Mortal Instruments: City of Bones‘ actor Aidan Turner as Kili, and Richard Armitage, who plays Thorin Oakenshield. 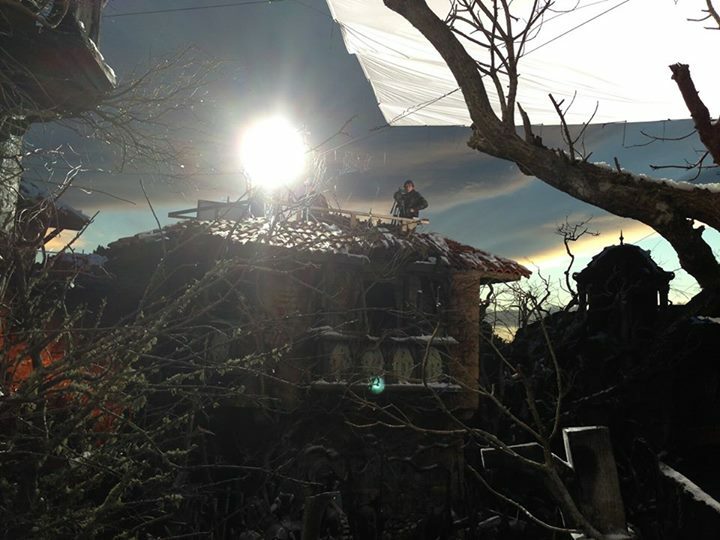 The second banner shows actor Lee Pace, who’s currently filming in Marvel’s Guardians of the Galaxy, as the Elven King of Mirkwood (and Legolas’ father), Thranduil. The third banner features Luke Evans as Bard the Bowman, a man of Laketown. 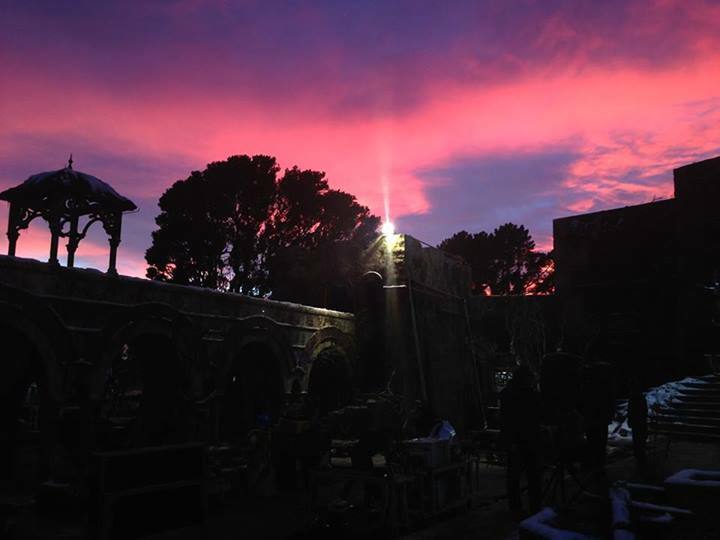 Luke is currently filming Dracula Untold. A new trailer is scheduled to be released around 6am Pacific / 9am Eastern time tomorrow, October 1st. Thanks to Page to Premiere for the tip! Check out these four newly released behind-the-scenes stills from The Hobbit, featuring Martin Freeman and Benedict Cumberbatch with commentary from Peter Jackson! This morning at Dale. One of the few nice things about a 7am start! Evening at Dale. And 11 hours later, we’re still going. Whether you’re still waiting to see The Hobbit: An Unexpected Journey or you’re just wondering the Internet looking for clips to re-watch after seeing the movie already, here’s a great look at Bilbo Baggins’ first encounter with Gollum, courtesy of Coming Soon! 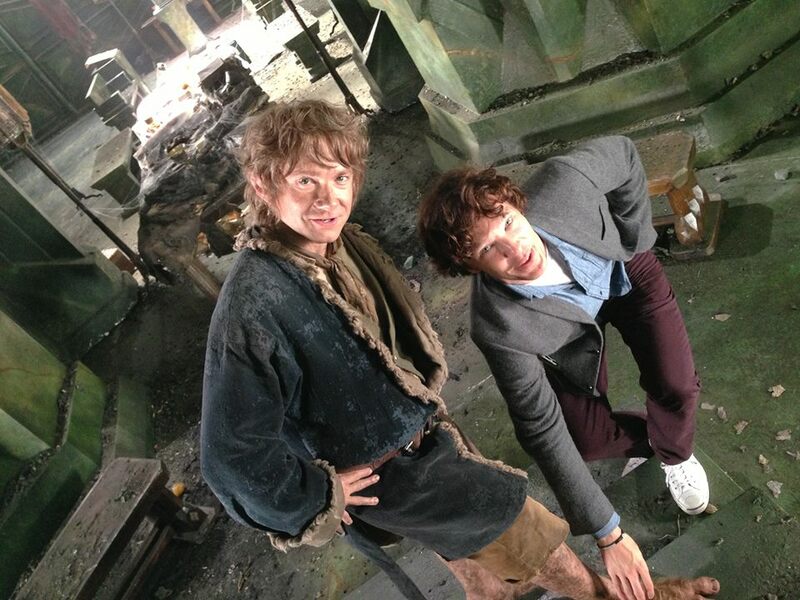 Hey U Guys recently interviewed Peter Jackson and Martin Freeman about The Hobbit: An Unexpected Journey, out in just TWO DAYS! We don’t know where the time has gone, but we are psyched! First, check out Peter Jackson discussing making movies, the translation from book to film, those infamous 48 frames per second, and casting Martin Freeman. Then Martin Freeman discusses taking on the role of Bilbo Baggins, working with Peter Jackson as well as working on a big franchise, and getting sick of his own overexposed face! All The Hobbit Trailers Edited Together in Chronological Order! 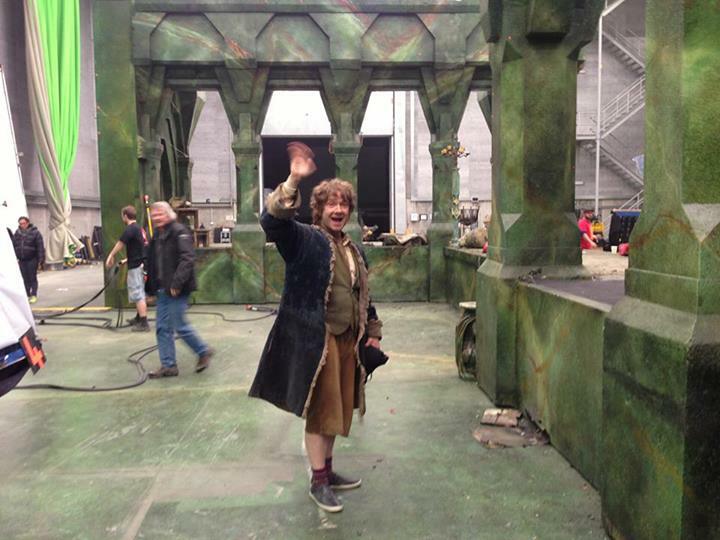 We’re so very close to the release of The Hobbit: An Unexpected Journey in theaters! In the meantime, Geek Tyrant has discovered a brilliant 8-minute video that cuts together all the trailers from the film in chronological order to create the longest running preview yet! In a recent interview, The Hobbit co-writer Phillipa Boyens explains why Martin Freeman was ultimately chosen for the coveted role of Bilbo Baggins! 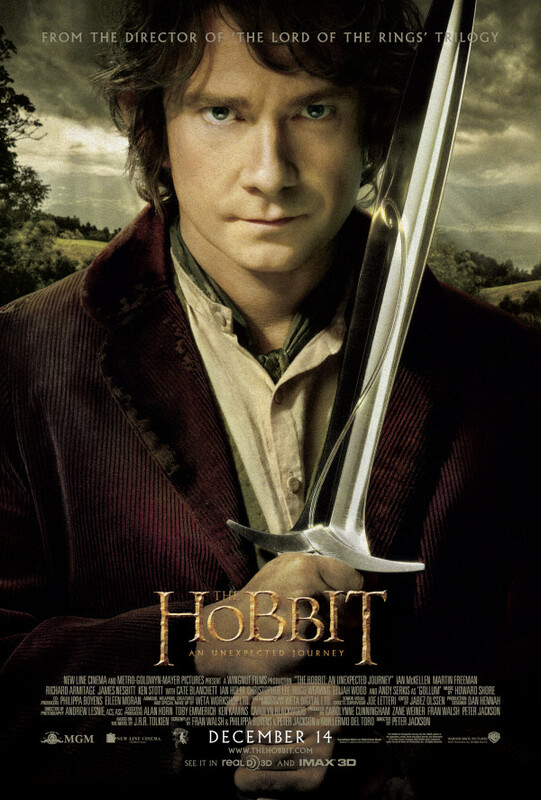 Do you think Martin Freeman complements Ian Holmes’ original version of the older, wiser Bilbo Baggins?